10, August 2016: With future-oriented technology, E3 is competent to be your perfect choice: Noticeable for being incredibly small, E3 is also featured by humanized design and powerful force. 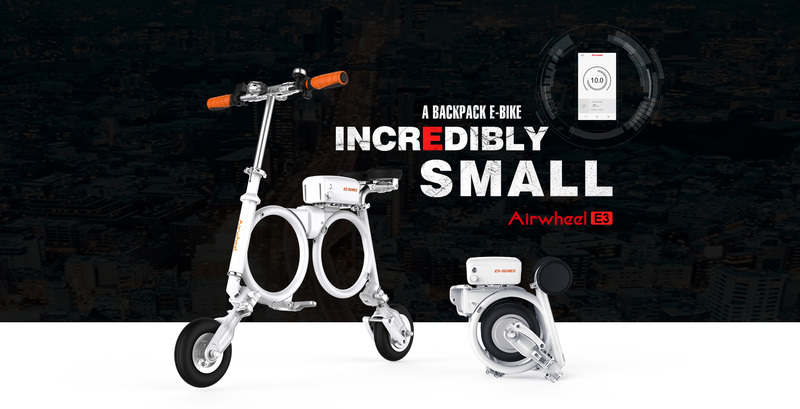 Airwheel is a worldwide electric bicycle manufacturer who aims to produce excellent electric bikes for customers. Recently, the company has released its latest e bike-Airwheel E3 backpack e bike. With future-oriented technology, E3 is competent to be your perfect choice: Noticeable for being incredibly small, E3 is also featured by humanized design and powerful force. Airwheel E3 foldable electric bike is incredibly small. Having a weight of 12.5kg and being mini in shape, E3 can be carried upstairs easily and can pass through any narrow space that can be passed by man. More noticeably, E3 can be folded to 474*399*374mm, which is the size of a backpack and means unparalleled convenience. With an E3, you can bid farewell to clumsiness and heavy traffic. Airwheel E3 smart electric folding bike in backpack is featured by humanized design. Airwheel E3 selects the rubber saddle, in left-right design with balanced force and good ventilation, so that riders can enjoy a more comfortable riding experience. It also has a multi-functional handlebar: the intelligent EBS system offers optimized initiating mode of vector controller and provides better brake power solution, the headlight chooses LED high brightness and energy saving design to illuminate the light-insufficient environment, and there are a bell and a phone holder to use. In addition, E3 has a high efficient USB port which transforms the battery into a portable power source and is compatible with many smart devices. Airwheel E3 backpack electric bike is powerful. 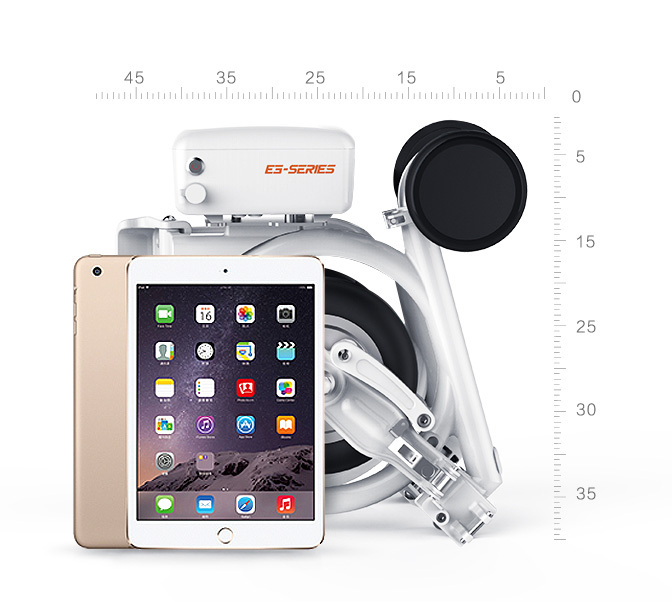 Airwheel E3 is coupled with car-level Li-ion battery set, which is light and delicate and shows the ingenious combination of utility and beauty. The branded Li-ion battery weighing 1.4kg guarantees sufficient power supply. More than that, the 300W powerful customized high performance hub motor, integrated with the electrical power drive system, transmission device and the electrical braking system, offers more powerful and stable force. To conclude, Airwheel E3 electric bike is incredibly small, attentive and powerful. With an E3, you can bid farewell to clumsiness and heavy traffic, enjoy a comfortable and merry ride, so E3 can be a perfect choice for you.